How Important is the Role of Nutrition in Addiction & Recovery? Learning about the influential role nutrition has in addiction & recovery can be helpful to those affected by this very serious & prevalent issue. Addiction (from the substance or drug abuse) is a concerning and prevalent issue today, affecting thousands of individuals and their families. A large percentage of those who struggle with addiction have co-occurring mental health conditions- whether that be anxiety, depression, etc. The substance- whether that be drugs or alcohol- is often used as a way for the individual to self-medicate. Over time, this can create a vicious cycle of abuse- compromising the mind and body. The role of nutrition has previously been an overlooked part of the mental health, addiction, and recovery field. However, more and more research now demonstrates the significance plays in the process of recovery- which is ultimately what we want for those suffering and their loved ones. Addiction takes an incredible toll on our bodies- multiple bodily processes and organs are affected by addiction. The liver, for instance, is greatly compromised, as is digestion (GI functioning), and overall absorption of nutrients. All of which further impede upon mental health which may likely be pre-existent issues, to begin with of those suffering. This is because nutrition plays a vital role in brain functioning, such as emotional regulation and mood. Substance use (whether that be drugs or alcohol) results in a loss of essential vitamins and minerals, antioxidants, as well as amino acids, and fatty acids. This is referred to as nutritional deficiencies. 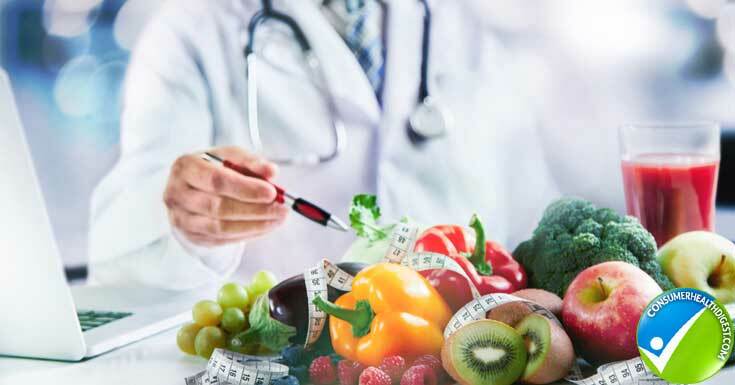 Nutritional deficiencies are very much evident in those currently suffering from the vicious cycle of addiction- as well as those who are in the process of recovery. This is because it takes the body time to repair and heal following the damage of prolonged substance and drug use. Learning about the influential role nutrition has in addiction and recovery can be greatly helpful to those affected by this very serious and prevalent issue. By properly nourishing our bodies during recovery we can help to restore the body’s processes and functioning. Furthermore, the more we nourish our bodies, the better we will feel not only physically- but mentally- which is a significant component of recovery. Research suggests that consuming whole, nutrient dense foods- providing sustainable energy to the body and mind has a positive impact in the process of addiction and recovery. Generally, a balanced diet consisting of a half plate with a variety of colorful veggies, one-quarter of good quality protein, and the rest whole grains, legumes, and starchy veggies is recommended. Furthermore, loading up on antioxidants (such as berries and healthy fats) and plenty of pure, filtered water is also suggested in helping to repair the body. The importance of nutrition is becoming such a hot topic- because what we fuel our bodies with matters- not only as noted to our physical health- but our emotional and mental health. This is indicative of the body and mind interrelationship that is at the cornerstone of optimal health. Vitamins and minerals serve as co-factors for a number of bodily processes in the body- vital to our health and well-being. The B Vitamins ( B1, B2, B3, B5, B6, B7, B9, B12) are compromised by prolonged substance use. These are essential for a number of processes in the body; including energy production, mood regulation/ health and nervous system functioning. These are excreted in the urine, as well as depleted under chronic stress- so these are often very much deficient in those with co-occurring (mental health/substance use disorders)- as well as in recovery. Good sources of foods rich in B vitamins include legumes, whole grains, turkey and tuna. B vitamins are also essential for the production of endorphins- which promote a sense of well-being- as they are the body’s feel-good neurotransmitters. B5, for instance, is essential for producing the endorphin, acetylcholine. Endorphins are produced from tyrosine (an amino acid) when there are sufficient cofactors such as Vitamin B6, Vitamin C, in addition, Folic Acid, Zinc, Copper, Magnesium, Iron, Manganese (important minerals for bodily processes). When we are not properly nourishing our body (from prolonged substance/drug use) we do not have sufficient amounts of neurotransmitters- which have an impact on our mood. Deficiencies in amino acids (which help with neurotransmitter functioning) are also evident in those overcoming addiction. Amino acids are broken down from proteins in the food we consume. Therefore, sources of good protein are also important to incorporate into the diet. (Think organic lean meat or fish for quality sources of protein). Proteins are also required in sufficient amounts to replace neurotransmitters as they are greatly diminished by substance use. Neurotransmitters (Serotonin, GABA) are made from nutrients consumed from our food- and help to regulate our mood. Neurotransmitters: such as Dopamine, Norepinephrine, Epinephrine: Tyrosine converse to Dopamine (think reward center) need the cofactors: B6, Vitamin C, Folic Acid, Zinc, Copper, Magnesium, Iron and Manganese. Dopamine converts to Norepinephrine (for alertness, good mood) and Epinephrine, requiring the cofactors; B3, B12, Vitamin C, Folic Acid. Tryptophan (amino acid) converts to B3 or Serotonin (dependent upon what substance the body needs more of and available co-factors). Serotonin- for instance, promotes a sense of calmness and well-being. The cofactors needed for this are: B6, B12, Folic Acid, and Magnesium- further indicating the importance of having a balanced, nutritional diet. Serotonin further converts to Melatonin which is needed for sleep restorative sleep- essential for our body and mind. Other B vitamins are also needed for neurotransmitter functioning. Glutamic acid, for instance, the amino acid converts to glutamate, the major excitatory neurotransmitter with the cofactor, B6 and then converts that to GABA which is a major inhibitory neurotransmitter of the brain. This process allows for dopamine to be released in small amounts to improve mood, helping those in recovery. Additionally, antioxidants, most notably, Vitamins C and E are also deficient in those in addiction recovery. These are really important to the recovery process, as they help to prevent further damage in the body. So, loading up on foods abundant in these are essential in terms of restoring the body and mind. Good sources of antioxidants include fruits and vegetables. The importance of fatty acid health is also essential to our well-being. Healthy fats such as avocado or coconut oil, for instance, help in restoring our body as well as in making prostaglandins and endocannabis- which are compromised by substance use. Fat oriented protein products (omega- 6 fatty acid) and (gamma-linoleic acid, GLA)- are also important as they convert to DLGA with the necessary co-factors of B3, B6, Zinc, Vitamin C, Magnesium) to produce PGE or Prostaglandin the fatty acid for good mood (deficits can result in depression). Endocannaboids furthermore are fat based neurotransmitters needed for relaxation, memory and reduce nausea. Digestion and malabsorption issues are also prevalent in those who are overcoming addiction- as there is damage to the GI and liver/detoxification process. This is further impacted by nutritional deficiencies. So if the individual is not obtaining and absorbing nutrients needed for their body to function properly, digestion will be further compromised. Adequate digestion is also important in terms of detoxification (getting rid of the body’s toxins), which is necessary to keep the body and mind healthy- especially after prolonged drug/substance use. Thus, it is important to select foods that aid in healthy digestion and detoxification. This means selecting foods rich in vitamins, antioxidants, and fiber. Good GI or gut health helps to promote positive physical and emotional health. In fact, up to 90% of our serotonin (feel-good neurotransmitter) is located in our gut/GI. 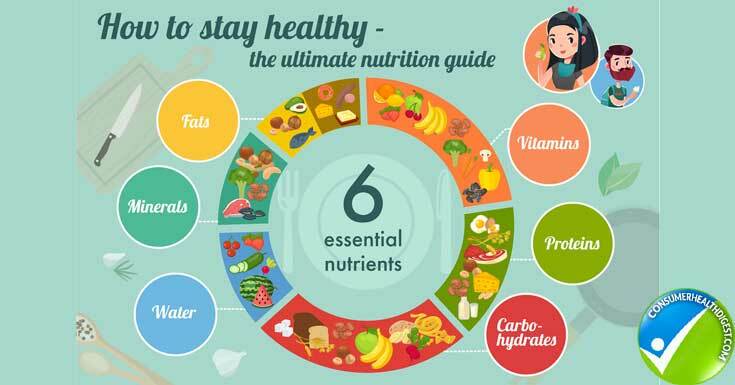 Therefore, it is important to consume nutrient-rich foods that aid in healthy digestion and detoxification. Foods rich in nutrients also help to ensure our neurotransmitters are working optimally which has a direct impact on how we feel. Furthermore, eating a diet rich in nutrients also provides our bodies with the material it needs to convert food into energy. Good sources of fiber include flax seed, fruits and vegetables, as well as oatmeal. These food sources are also rich in vitamins and minerals which help to promote many metabolic processes in the body (think energy and mood health). Another important factor in addiction recovery is to refrain from highly processed foods, as these can further deplete neurotransmitter levels (like Serotonin, a feel-good chemical in the brain), as well as compromise energy levels as they offer no real nutrition to the diet. Furthermore, it is important to refrain from simple carbs (cookies, white bread etc.) as they cause drastic spikes and dips in energy and mood. Furthermore, it is important to fuel our bodies steadily through the day with nourishing meals to prevent. Therefore, by eating on a regular basis- not only helps to nourish the body but also helps to regulate insulin (sugar) levels- helping to further regulate our mood and prevent sugar spikes… or Hypoglycemia. 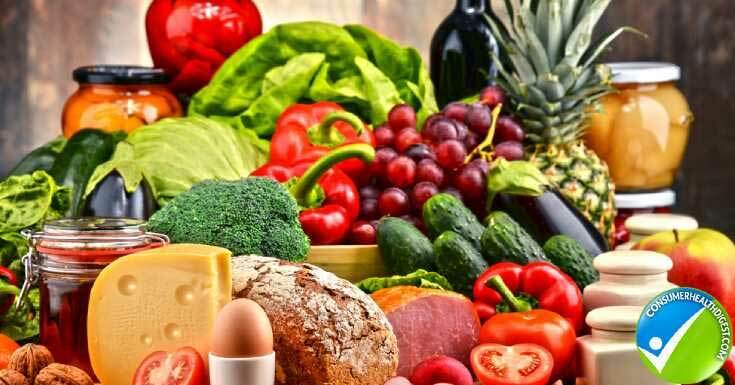 A Mediterranean Diet, abundant in fruits and vegetables, whole grains, lean meat, fish and healthy fats; like avocado and olive oil is often recommended for those in recovery. This diet is rich in essential nutrients and has anti-inflammatory properties, which further aids in digestion. The Mediterranean Diet also provides sustainable energy. As we can see, nutrition is an up-most important factor in our health and well-being, especially for those in recovery. Nutritional deficiencies can make one more susceptible to cravings and relapse. Thus, consuming real and nourishing foods, not only help our bodies recover from addiction, but also help promote emotional health and well-being.